Endless possibilities!! 5-1/2" plastic open rings snap securely closed. 1/8" thick plastic can even hold pony beads. Add lots of toy parts and make a foot toy. 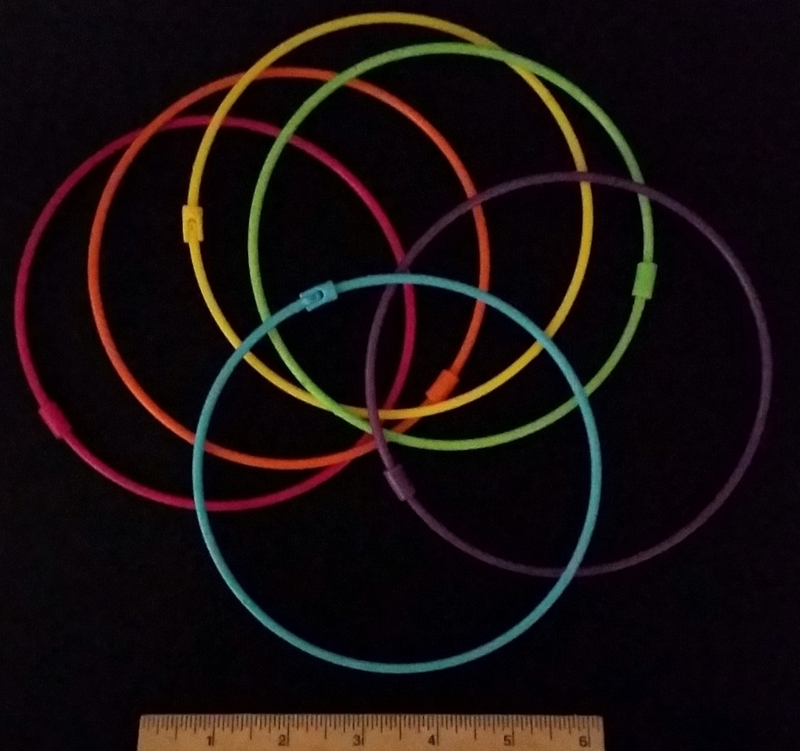 Shipped assorted colors including Royal Blue, Turquoise, Yellow, Green, Pink and Purple. For medium birds or smaller.